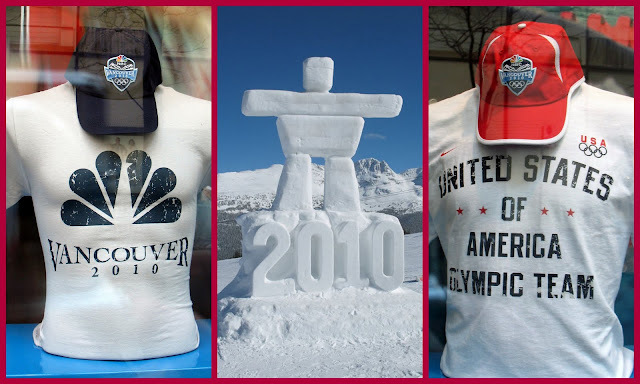 The 2010 Winter Olympics in Vancouver, British Columbia, Canada, were so enjoyable to watch the past sixteen days and I was so proud of all the remarkable athletes from all around the world, and the magnificent efforts and sportsmanship they displayed to make their countries proud. Canada was a gracious and friendly host, and I am happy that all their dreams and expectations for an outstanding Olympics were met in many ways. I congratulate them on winning the highest number of gold medals at fourteen. I was excited for all our American athletes, and the outstanding total of thirty seven medals that they won! It broke the record for total medals won by one nation at a Winter Games set by Germany in 2002, and was the first Winter Olympics in 78 years in which the United States won more medals than any other participant. It was a memorable Olympics in so many ways, but I think the most memorable moment for me was watching the Canadian figure skater Joannie Rochette, who skated to win a bronze medal just days after the death of her mother. What bravery and composure she displayed during her beautiful programs! What was you most memorable moment of these Olympics? 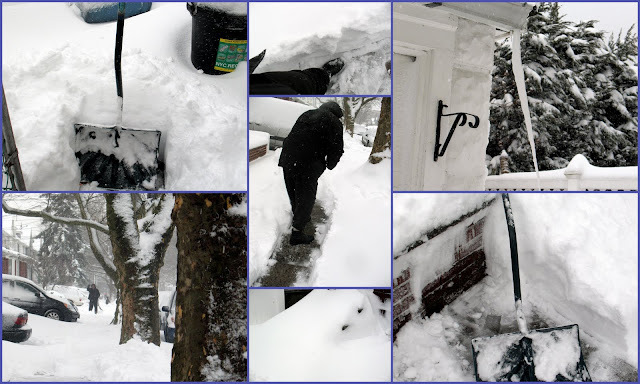 We survived nineteen + inches of snow on Friday, and this photo mosaic shows how we spent most of the day. The snow came with high winds and the snow drifts were waist high in some spots! Luckily we had two sunny days this weekend and quite a bit of the snow has melted, so now life goes back to normal. I am even seeing some signs of Spring approaching, as my daffodils are beginning to grow. Nineteen more days to go! 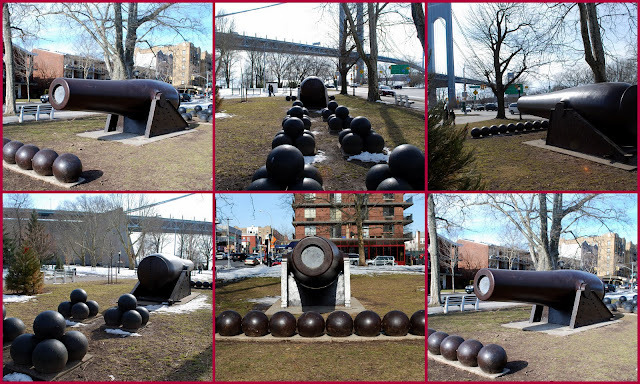 John Paul Jones Park is located between Shore Road, Fourth Avenue, 101st Street, and Fort Hamilton Parkway, in the borough of Brooklyn, NY. In 1969 the park was named for American Patriot and Naval hero, John Paul Jones (1747-1792), who, through his victorious leadership in the American Revolution, became known as “the father of the Navy.” This small park is adjacent to the US Army Fort Hamilton base, and is full of many interesting memorials. This photo mosaic shows different views of the Civil War Memorial presented to the City of Mew York by the United States Military in 1900. The massive, black, 20” bore, Parrott cannon, founded in 1864, originally stood in Fort Pitt, Pennsylvania. It's massive cannon balls are on display around it. The Dover Patrol Naval War Memorial was a gift from England after World War I. It was a tribute to the U.S. Naval Forces in Europe during World War 1. If you click on the photo to enlarge it you can read that there is a similar memorial in Dover, England, and Blanc Nez, France. It is good to remember their sacrifice. A Revolutionary War Memorial consists of a bronze tablet on a granite boulder that New York City received from the Long Island Society of the Daughters of the American Revolution in 1916. The first resistance to British troops by the Continental Army took place in this vicinity during the American Revolutionary Battle of Brooklyn. This monument located against the expansive backdrop of the Verrazano Bridge, at the southern end of John Paul Jones Park honors local activist John N. Lacorte (1910-1991). Mr. Lacorte advocated for the recognition of contributions made by Italians and Italian-Americans. Thanks to LaCorte’s efforts, the adjacent bridge was named for Italian explorer Giovanni da Verrazano. LaCorte was also the driving force behind the institution of Columbus Day as a national holiday. He also founded The Italian Historical Society of America in 1949. The monument is inscribed with the words, "Inspiratio per Exemplum," or, "Inspiration through Example." The bronze relief medallion of Verazzano incorporated into the LaCorte Monument was made by Albino Manca in 1964 to commemorate the dedication of the Verrazano Bridge, which can be seen from the park in the photo below. The Verranzano - Narrows Bridge was the largest suspension bridge in the world at the time of its completion in 1964, until it was surpassed by the Humber Bridge in the United Kingdom in 1981. It now has the eighth longest center span in the world, and is the largest suspension bridge in the United States. The Verrazano Bridge marks the gateway to New York Harbor, and connects the borough of Brooklyn to the borough of Staten Island in New York City. All cruise ships and most container ships arriving at the Port of New York and New Jersey must pass underneath the bridge and thus must be built to accommodate the clearance under the bridge. If you enlarge this photo you can see a large container ship from Korea passing under the bridge, possibly carrying new cars? pedestrian and bike path along the shoreline at this part of Brooklyn that extends for miles, and is a pleasant walk in the warmer months. You can see more of the beautiful walkway by clicking here, as well as more views of the surrounding neighborhood of Bay Ridge. After this winter walk I was ready to head home for a cup of hot chocolate and to put my feet up and read a good book -- which is what I'll probably be doing again this weekend. as we are having another snow storm. Old Man Winter is hanging on tight this year! The United States Army's Fort Hamilton is located at the east side of the Verrazano-Narrows Bridge in Brooklyn, New York. Fort Hamilton is the only active military base in metropolitan New York City. The fort is named in honor of Alexander Hamilton, first Secretary of the Treasury. It, and West Point located in upstate New York, are the oldest continuously garrisoned forts in the United States. Fort Hamilton's cornerstone was laid on June 11, 1825, and construction completed on July 10, 1831. Since 1776 this portion of New York harbor has been a strategic base for coastal defense. Fort Lewis, once located on this site, held the British fleet at bay during the War of 1812. During the Civil War, Fort Hamilton's garrison expanded. A ship barrier across the Narrows assisted Fort Hamilton and its sister forts on Staten Island in protecting the harbor against Confederate raiders. The forts also provided troops to help put down the New York City draft riots of 1863. In the two World Wars, Fort Hamilton served as a major embarkation and separation center. Most recently, in the aftermath of the September 11th terrorist attacks, National Guard troops stationed at Fort Hamilton provided critical operational support. The entrance to Fort Hamilton is located under the parkway ramps to the Verrazano - Narrows Bridge, as seen in the photos above and below. The Harbor Defense Museum is located within Fort Hamilton. Inside are the collection of military themed art and historical items from Fort Hamilton, including weapons, uniforms, small arms, cannons and accoutrement's from 18th century to present. They currently have two special exhibits: "The Battle of Brooklyn, Firepower" and "Infantry Weapons of World War II, In Defense of New York." A view of the Fort Hamilton Community Club which provides a quality dining and social atmosphere for the Military and Federal Employees of the New York Area Command. If you look closely at the photo above you can see how cannons were once positioned on this ridge to help protect the harbor. Some are still on display. However, while Fort Hamilton is an active Army base, the defense of New York City is now the responsibility of the Navy and the Air Force. Part of the Installation Management Commands Northeast Region, Fort Hamilton supports a several important tenant organizations: the U.S. Army New York City Recruiting Battalion, the Military Entrance Processing Station, the headquarters of the North Atlantic Division, Army Corps of Engineers, and the U.S. Army Reserve Center. The New York National Guard units based at Fort Hamilton provide civil support and security for the Metropolitan Transportation Authority and other military and civilian agencies. A view of the Verrazano -Narrows Bridge connecting Brooklyn with Staten Island and at the entrance to New York Harbor. 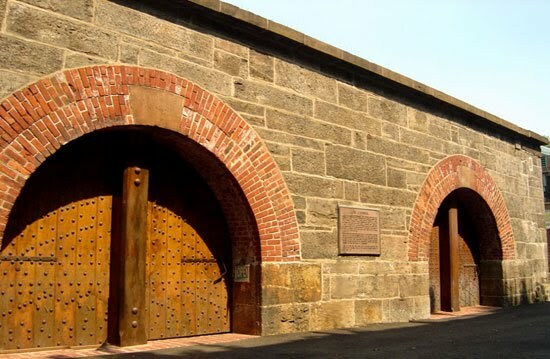 A number of historically important individuals have made Fort Hamilton their home. Between 1841 and 1846 Captain Robert E. Lee resided at Fort Hamilton and served as engineer in charge of all the fortifications defending New York's harbor. Brevet Major Thomas J. (Stonewall) Jackson served at Fort Hamilton as an artillery officer from 1848 to 1849. And Captain Abner Doubleday, who is closely associated with the development of baseball, served as post commander in 1861. Saint Johns Episcopal Church, is located at 9818 Fort Hamilton Parkway, just outside Fort Hamilton's gates. The church was originally established to serve the increasing Episcopalian members of the garrison at Fort Hamilton Army Base and of the surrounding community. Known as the "Church of the Generals," St. John's has been a house of worship for a large number of officers who led American forces in every conflict since the Mexican War. General Robert E. Lee, a Vestryman from 1842 to 1844 and General Thomas J. (Stonewall) Jackson, who was baptized there in 1849, were among those who attended services here. Established in 1834, the present church structure dates to 1890. This bell, from the original church building, was preserved and is on display on the front lawn. Next to Fort Hamilton is John Paul Jones Park, named after “the Father of the Navy.” I'll show that interesting park in my next blog post. Linking to Susan at A Southern Daydreamer blog's "Outdoor Wednesday" event. 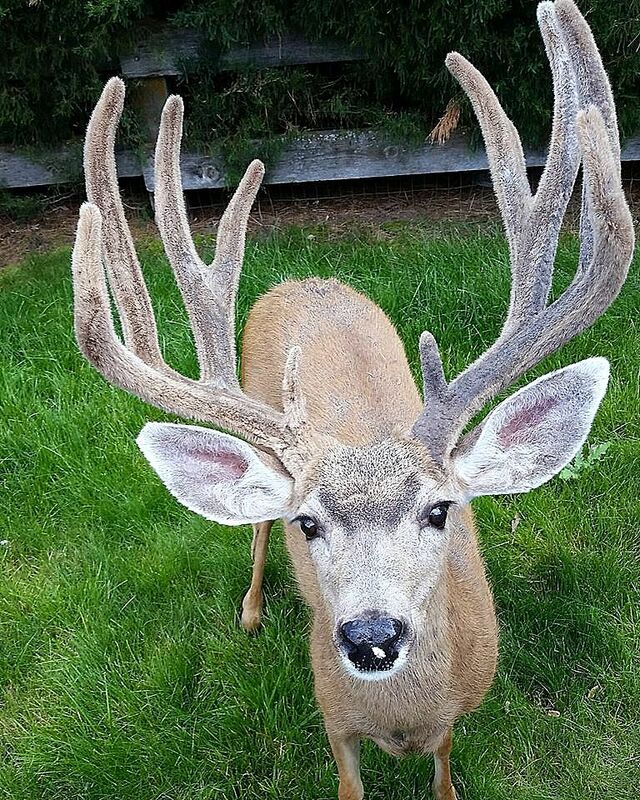 Please visit Susan's blog today to see her post and links to other blogs participating in Outdoor Wednesday. 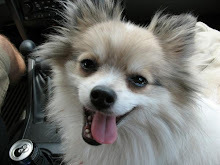 I am also linking to Jenny at Jenny Matlock - Off On My Tangent blog's "Alphabe Thursday" blog event. The letter this week is "F."
Thanks Susan and Jenny! 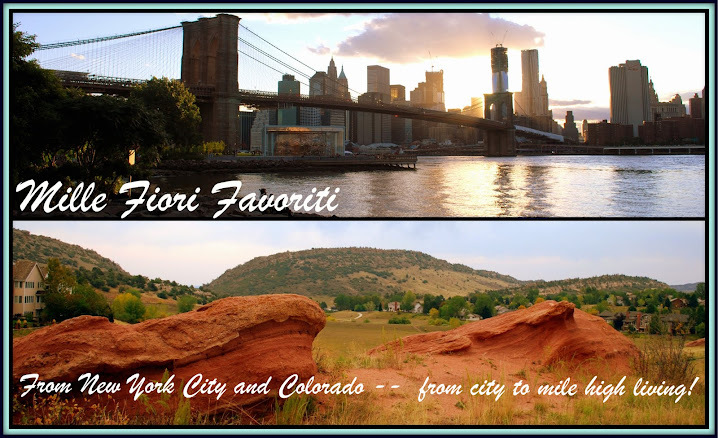 It is always a pleasure to join in on your blog events! February 22 is the 278 birthday of the first President of the United States, George Washington. 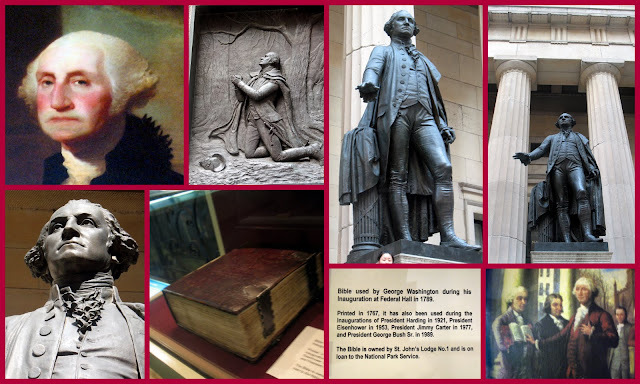 All of the photos above were taken in Federal Hall National Monument, in Manhattan, New York, where on April 30, 1789, George Washington, took his oath of office as the first President of the United States. 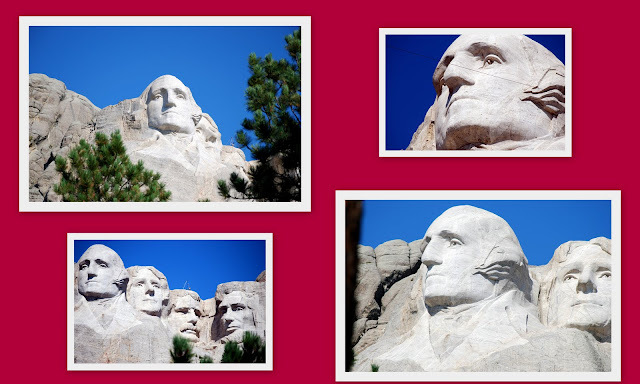 I was inspired to learn more about George Washington after blogging about the American Revolutionary Battle Of Brooklyn, and Fraunces Tavern where he made his farewell address to the Continental Army after the revolution, and also Federal Hall in Manhattan, New York, where he was sworn in as the first American President. 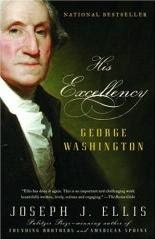 I recently read this excellent biography of George Washington, written by Joseph J. Ellis. This scholarly and succinct biography revealed much about Washington's humanity, his kindness and compassion. It also revealed the issues he struggled with in his early life, in his years as Commanding General during the American Revolution and his two terms as President, while stripping away the many myths that surround his life and presidency. The biography is an excellent introduction to the life and times of our first President and I highly recommend it. One of the facts I found the most fascinating in the biography was that beginning with Washington's presidency, efforts were made by detractors to conduct a smear campaigns. Many tried to discredit his intellect, his morals and his even his sanity! I was surprised to learn that even in the earliest days of America's two party system, infighting and partisanism were the unfortunate byproducts of politics. Washington retired from the Presidency in 1797 and enjoyed less than three years at his home in Mount Vernon, before he died of a throat infection on December 14, 1799. The more I learn about George Washington the more he has become among my favorite Presidents. As the centuries pass may our country never forget how fortunate we were to have this man of outstanding character among our Founding Fathers. I am linking this post to Mary at The Little Red House blog's "Mosaic Monday" event. Please visit Mary's blog to see her pretty vintage green and silver mosaic and links to other blogs participating today. I'll be busy catching up today after a weekend away from my computer watching the Olympics! Congratulations to all the outstanding athletes! This has been a very exciting Winter games and our friendly neighbors to the north in Vancouver, Canada, are excellent hosts. 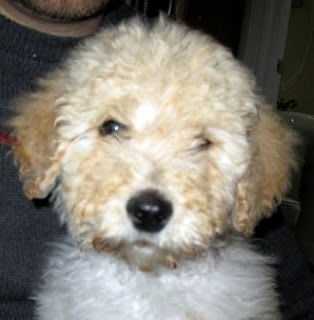 I also want to introduce my new "grand dog," a "Golden Doodle" (part Golden Retriever part Poodle) named Biscuit, who was a birthday present to my son from his loving wife. Did you ever see a more adorable face? Welcome to the family Biscuit! The first time I had rabbit ragu I was eighteen years old traveling through Italy on a bus tour sponsored by my high school. I had worked and saved for the opportunity to go on the "eleven cities in sixteen days" tour in my Senior year since I was a Freshman. It had been the dream of my young life to see Venice, and not only did I see that wondrous city but also Genoa, Stressa, Isola Bella, Milan, Verona, Padua, Florence and Rome, Pisa, Naples, Sorrento, Capri and the ruins of Pompeii. Most of our meals were eaten in hotels, breakfast consisted of a continental breakfast of coffee and roll. For lunch we were on our own, and since I did not have much extra money to spend during the trip I often satisfied myself with a gelato (Italian ice cream) or a bakery treat. Dinners in the hotel were served American style, and consisted of a potato, a meat and a vegetable. I was so disappointed that we were not being served authentic Italian foods, but the general feeling was that this was the best way to guarantee everyone would like what they were offered as nothing would be exotic or unusual. Finally, on a trip between Pisa and Sorrento the bus stopped at a local Trattoria for dinner, as we would be arriving in the city of Sorrento too late for hotel dinner service as we were making one stop in Naples on the way down. I was thrilled to be in a real Italian restaurant, and I was determined to order what I thought was the most ethnically Italian selection on the menu, which happened to be Ragu di coniglio served over pappardelle. It was so delicious I ate every bite, but I think if I knew then that it was rabbit cooked in sauce I would have been appalled. Fast forward three years when I married a native Italian, who is still my husband thirty five years latter. Through his family I was introduced to a wide repertoire of authentic Calabrian recipes, which is the region he is from in Italy, but never a meal which included rabbit. It seems ragu di coniglio is eaten in the Campania region, where the Amalfi Coast is located, and where I had my special treat. It wasn't until years later, when I fortunately had developed a more sophisticated palate, that I finally found rabbit for sale in an Italian specialty market. It was exciting for me to finally be able to replicate my first taste of true Italian food, and since then I have served this sauce for special occasions. A package of fresh, bone in, cut rabbit as it is sold in the store. In a dutch oven begin to saute the chopped celery, onion and carrot in the olive oil. Salt and pepper the rabbit pieces well and lay over vegetables. Place lid on top and cook about 10 minutes, turning rabbit once, over medium high heat. Cook until the vegetables are soft and the rabbit is slightly browned on both sides. Remove rabbit to a platter and cover and set aside. Reduce the heat to medium. Add the red-pepper flakes, garlic and tomato paste, stirring for another minute. Deglaze the pan with the wine, turn the heat to high and boil to burn off the alcohol, about 4 minutes. Add the tomatoes alog with their juices, bay leaves thyme, sage and rosemary. Return the rabbit pieces to the pot, spacing them evenly so they are partly covered by the liquid. Bring to a boil and then reduce the heat and simmer, covered, until the rabbit is falling off the bone, about 2 hours. Turn the pieces at least once. Bring a large pot of salted water to a boil. Cook the pappardelle until al dente. Before draining, save a cup of the pasta water. Instead of pappardelle I used a special imported pasta my husband enjoys, which is a two foot long type of ziti, and which is very often served at weddings in Southern Italy. Turn off the heat on the sauce and discard the thyme sprig and bay leaves. Remove the rabbit from the sauce and let cool; then pull the meat from the bones. Shred some pieces and leave others large. Return the meat to the pan and simmer the sauce low heat, while the pasta is cooking, until the sauce is thickened, approximately 10 minutes. Taste and season sauce with more salt and pepper if needed. Toss the pasta with the sauce, adding small amounts of pasta water, if necessary, if the sauce is too thick. Divide pasta among bowls and top with grated Locatelli romano cheese. Serves 4 hearty and delicious portions! Every time I eat this I am transported back to my teens savoring my first taste of what I thought was a sophisticated Italian dinner. Now I know that it was really a very rustic specialty dish of the region, but absolutely delicious non-the-less, as most Italian food is! I hope you will consider trying it if you can find rabbit in your local store or on the menu in your local trattoria! Today is Michael Lee's first anniversary of her blog's "Foodie Friday" event! Congratulations ML! It has been wonderful to collect many fantastic recipes and ideas from Foodie Friday over the past year and I look forward to many more years of delicious fun! Please visit the Designs By Gollum blog and see ML's contribution as well as links to all the participating blogs in Foodie Friday. Green-Wood Cemetery is a Winter Wonderland! The foot of snow we had in Brooklyn last week was still evident on the ground this weekend, even though the sky was a cloudless bright blue. 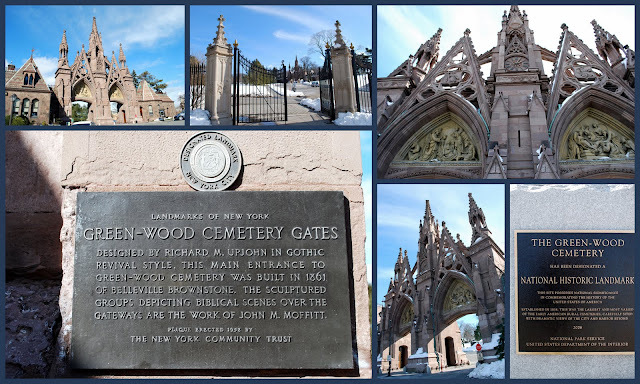 Feeling a little bit of cabin fever, my husband and I decided to take a drive to Green-Wood Cemetery located at 500 25th Street, Brooklyn, New York, to walk along the paths in its 478 spectacular acres. "Founded in 1838 as one of America’s first rural cemeteries, the Green-Wood Cemetery soon developed an international reputation for its magnificent beauty and became the fashionable place to be buried. By 1860, Green-Wood was attracting 500,000 visitors a year, rivaling Niagara Falls as the country’s greatest tourist attraction. Crowds flocked to Green-Wood to enjoy family outings, carriage rides and sculpture viewing in the finest of first generation American landscapes. Green-Wood’s popularity helped inspire the creation of public parks, including New York City’s Central and Prospect Parks." The cemetery even offers a year round historic trolley tour every Wednesday and select weekends. "A magnet for history buffs and bird watchers, Green-Wood is a Revolutionary War historic site (the Battle of Long Island was fought in 1776 across what is now its grounds), a designated site on the Civil War Discovery Trail, and a registered member of the Audubon Cooperative Sanctuary System. 560,000 people are buried here, including Leonard Bernstein, Boss Tweed, Charles Ebbets, Jean-Michel Basquiat, Louis Comfort Tiffany, Horace Greeley, Civil War generals, baseball legends, politicians, artists, entertainers and inventors." The grounds are lovely in all four seasons, and I thought it would be nice to take my camera along on my walk and record some of the beautiful winter landscape. I have blogged about Green-Wood cemetery many times before and those post can be read at this link. 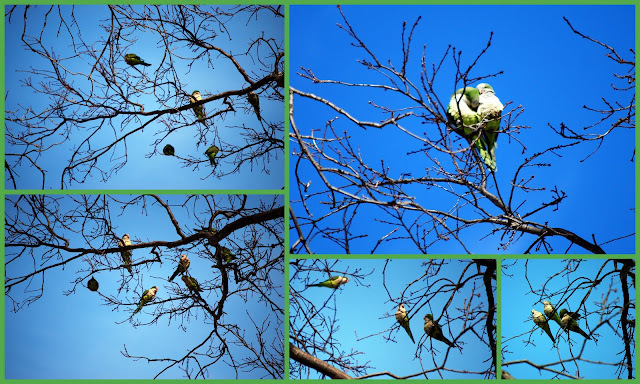 The wild monk parrots that live in Green-Wood were very visible in the trees! They even have their own blog where the history of how they came to Brooklyn can be read at this link. I though the two in the upper right of this mosaic made a romantic heart shape for us for St. Valentine's day! The cemetery is really a birder's paradise and is proud to be a registered member of the Audubon Cooperative Sanctuary System since 1995. Large flocks of Canadian geese were looking for food the day I was there. Approximately 3,300 Civil War veterans have been identified at Green-Wood, both Union and Confederate soldiers, through the Green-Wood Historic Fund’s Civil War Project. My husband and I are proud to be among the hundreds of volunteers who have worked the last six years on this ongoing project. As you can see in the mosaic above, as part of the project, many of the Civil War Veterans have had new gravestones ordered from the US Veterans Administration, and they have been installed next to, or in front of, their original gravestones which had become unreadable through time. Quite a few veterans were buried with no gravestone at all, and it has been particularly gratifying to finally identify their grave sites with stone that tell of their service to our country. 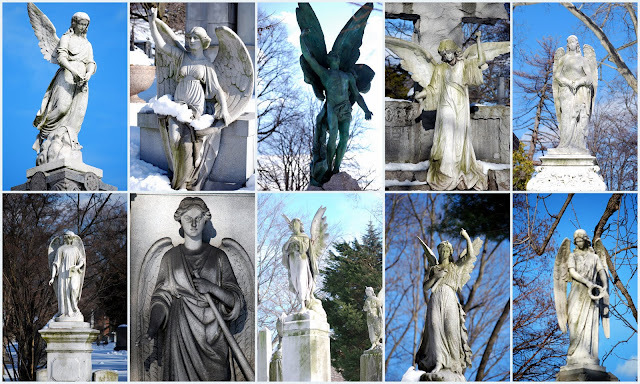 The Victorian era memorials and statuary throughout the cemetery are magnificent, and I am particularly fond of taking photographs of the many angels that are in the cemetery. Someday I will do a blog post with photos of the other varied types of statuary in the cemetery as there are many other interesting memorials to be seen. Another portion of the cemetery I never tire of is it's beautiful views! Green-Wood Cemetery is full of hills and valleys and Battle Hill which is located there is one of the highest points in Brooklyn. This is a view of the Manhattan skyline that can be seen as I descended Battle Hill. A close up of the same skyline view framed through a tree. I guess you now know where I took the photograph that is presently my blog header! 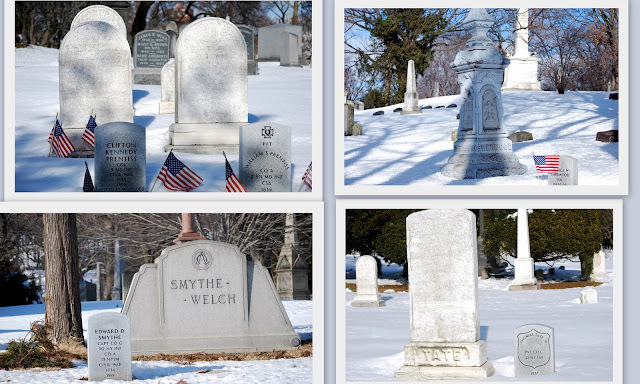 I hope you enjoyed walking along with me on this beautiful Winter day in Green-Wood Cemetery. It is one of my favorite places to visit! I am adding this post to Susan at A Southern Daydreamer blog's "Outdoor Wednesday" event. 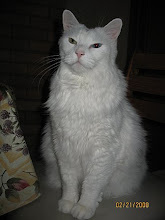 Please visit Susan today to see her outdoor post and links to all the other blogs participating today.